Looking for London 360? 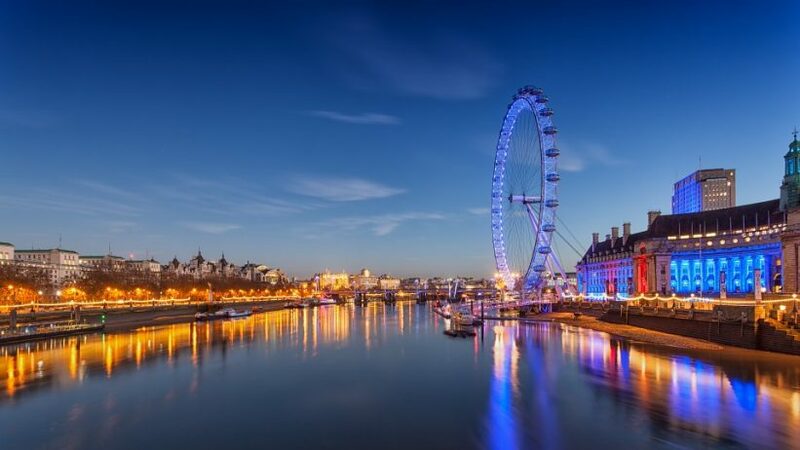 Waterloo’s London Eye offers a panoramic view of the UK capital. As you ascend, the city gets smaller but the view gets bigger. Before you descend for your close-up. Open since March 2000, the London Eye has established itself as one of the capital’s leading tourist attractions. You can easily reach it on foot from a number of London Underground stations. These include Charing Cross, Embankment, Waterloo, and Westminster. The opening times are Monday to Sunday 10:00am to 8:30pm, although for special occasions like Valentines’ Day the hours are extended to 10:00pm. So you can see London by day and night. Every day of the year, with the exception of Christmas Day and a ten-day period of annual maintenance in January. You’ll be up in the air for half an hour. But the memory of being in the London Eye won’t fade so fast. You’ll be able to remember your rotating experience for a lifetime. The London Eye’s not standing room only. There is a bench in the middle of your capsule (one of 32) should you require a seating view. But bear in mind this more horizontal option is offered on a first-come-first-served basis. There are various packages available. Ordinarily, the London Eye takes up to 28 travellers. But more private rides are available and you can combine your experience with the likes of a Thames River Cruise. Watch as the people on the ground shrink to matchstick proportions. Look east for the Gherkin and St Paul’s Cathedral, north for Cleopatra’s Needle and the Gotham-Cityesque Senate House, and west for Big Ben. Adult tickets start at £21.20. These rise to the likes of £380.00 for a Cupid’s Capsule for two, with a bottle of champagne and box of chocolates. Prices correct at time of going to press.